By this point many people may not realize that the Captain’s Quarters exist. What once was meant to be the shining jewel of CCP’s development quickly became their worst folly and has now fallen into relative obscurity. However, even five years later, EVE still feels the impact of the once promising Ambulation project. While the “Flying in Space” portion has seen a lot of love, the “Walking in Stations” portion of EVE has been left nearly fallow thanks to the miss-steps surrounding this feature. Although it is easy to dismiss the lack of expanded Captain’s Quarters content as simply being a business mandate, it is also possible that the lack of features within the CQ, and the lack of subsequent development, is more of a CONCORD decision then a CCP one. The Captain’s Quarters were supposed to be the first step in bringing the lofty concept of Ambulation, announced in 2007, to fruition. For nearly four years EVE Online pilots dreamt of a day in which they could shed their pod and walk amongst each other. Visions of gambling venues, pleasure hubs and actual smoke-filled back rooms danced in the heads of players and CCP alike. Ultimately however, it was never meant to be. Ambulation, after nearly two years of dedicated development, was eventually rolled out under the title of Incarna. Obviously it didn’t work out too well. While Incarna failed to live up to the hype, there is a question of if the feature as envisioned ever possibly could. Although things such as “player owned establishments” may sound like amazing ideas, they tend to fall apart when it comes to going about actually designing how they could work (Ironically, the F2P changes makes this a bit easier, but it still stands as a much better dream than reality). This is pretty typical of the CCP of that era since at that time they seemed quite fond of promoting ideas that had no real technical path towards realization. However, that was only part of the problem. Without going into too much detail, Incarna was a disaster, both because of terrible business and PR decisions, but also because the feature itself was buggy and provided almost nothing of value to the game. While the potential immersion and gameplay that could come from Ambulation was present, the poor execution of Incarna not only spelled doom for “Walking In Stations” but also for all out-of-pod experiences for the foreseeable future. While the EVE playerbase can, and likely will, argue forever as to whether this shift of focus from “immersive” experiences towards “meaningful” gameplay and a tighter tuned spaceship experience was the best for the game (even with CCP’s recent efforts to circle back to parts of the failed Incarna release), it seems that CCP has decided to leave the Captain’s Quarters a husk. Forever trapping capsuleers inside of a single small room. 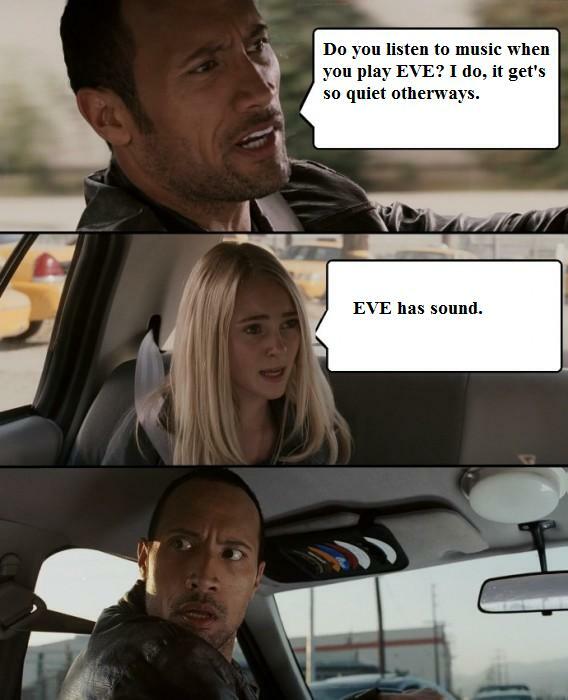 Before we can even address the feature of CQ itself we have to look at something else about EVE Online: sound. While the notion of “EVE has sound?” has become a bit of a meme to the player base, it is a bit odd that you can hear things in space. Explosions, gunfire, and warp drive tunnels, among other things, should not be audible in the vacuum of space and many players over the years have complained about the immersion breaking sci-fi nature of including these effects. However, EVE has a very clever lore to it which directly addresses this. Additionally we know that simulations, and simulated realities, are key technologies for many cultures of New Eden and in particular the Jove, creators of the Hydrostatic Capsule. The Sleepers themselves, long dormant descendants of the Jove, have lived for hundreds or even thousands of years completely contained within a virtual reality world. At its logical conclusion there is reason to believe the Architects (the ones that are doing the actual “sleeping” the Sleepers are named for) have forgotten they are part of a simulated reality. Some would go so far as to speculate that the rise of the Other, the arrival of the Autothysian Lancers and the Drifters, the assassination of Jamyl and the subsequent attacks on cloning facilities are all a direct result of this confusion. From a baseliner perspective, Empyreans (us) are a barely controlled facet of life in New Eden at best, and the greatest threat to human civilization at worst. Nearly every ship we destroy snuffs out hundreds if not thousands of human lives. We play with the wealth of small empires as if it was our plaything. Our immortality has given us detachment from the struggles of human existence. Combine that with the concern listed above, the idea of space mad, nearly omnipotent space gods terrorizing the universe, and it could be the stuff of Gallentian horror flicks. Thankfully (for them) CONCORD exists as the last thin shield for humanity against our growing population. Founded in 23233, CONCORD’s original purpose what a desperately attempt to prevent the newly connected empires from eradicating each other. Serving as a sort of UN for New Eden, CONCORD served to provide peace and stability regardless of home system and to their credit they seemed mostly successful. With the rise of the Empyrean Age, CONCORD’s duties greatly expanded. 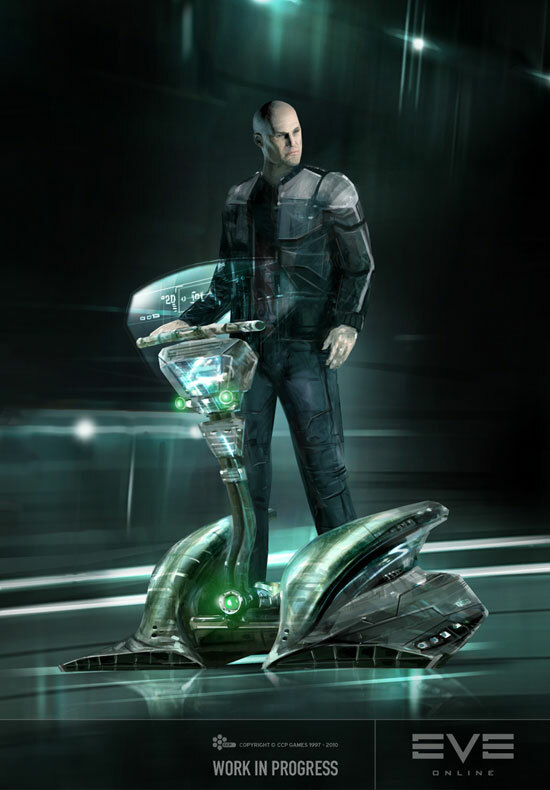 While no one empire could maintain a grasp of these new immortals, CONCORD served in a unique position to become the “police” for these capsuleers. We may not always be pleased with CONCORD’s iron grip on high security space, but their superior technology, and inter-empire backing allows them to dictate terms on Empyreans, at least for now. However, maintaining the peace does not just mean punishing those who step out of bounds. 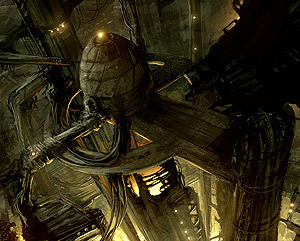 From a Empire perspective, keeping capsuleers reined in and placated is of utmost importance. It would seem true that the nature of immortality divorces us from our once human nature. Many capsuleers treat human life, and the future of the universe, as if it were a game; this is a real problem from CONCORD’s perspective. It would stand to reason that CONCORD, and others, may be working on technology to not only make our lives better (in the case of Upwell), but also to help keep us in control, and our “human nature” alive. All of this brings us back to the Captain’s Quarters. While the hope was once for the ultimate immersive experience of climbing out of your pod, allowing players to feel as if the Universe is real, open and alive, the CQ in fact gives us only the most rudimentary trappings of humanity. There are no other people, no bathrooms or other biological needs as well as no ability to open the door. It does seem unusual that the confines of an entire station, inhabited by millions of humans, would remain forever locked behind the infamous door. Beyond that, it serves no function and provides no tangible value. It only serves as a momentary distraction, a brief reminder that we once walked among the mortals. The CQ itself seems to be designed to remind Empyreans of their now shedded humanity; food containers sit empty around the room (don’t they have cleaning drones?). The quarters themselves are dominated by a massive TV designed mostly to push the Empires objectives and advertise efforts that they would be interested in getting Capsuleers to engage in. An unused bed reminds us of our mortal needs and the full length mirror challenges us to stare at our actual vistage, as opposed to the view of our ship from the camera drones we are used to. In total, the CQ itself functions as a small psychological chamber, meant to control and placate Empyreans, rather than a care and comfort service is ostensibly is. Although it is true that simple motivation, and interior design aesthetics, may not be enough to levy an accusation that CONCORD has simply pulled the wool over our eyes, do consider this: you still have access to your entire UI even while in your CQ. While it could be possible that we have some sort of internal HUD that is replicated in chat windows, inventory spreadsheets, and market reports, all signs indicate this isn’t a universally popular thing among Empyreans. 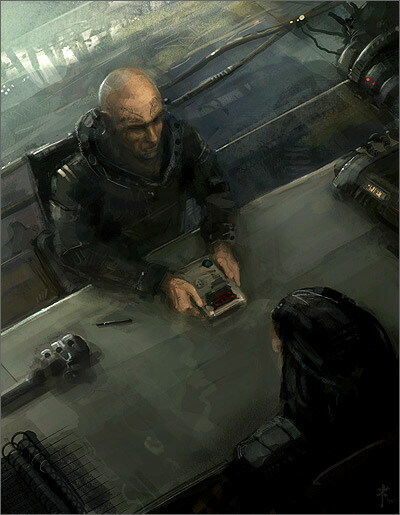 Many images and lore exists to show that data-pads and holo-terminals are the primary method of interfacing with technology while out of your capsule. In spite of all of this however, we see no real change in access to the Neocom by leaving our capsule. It is easy to simply accept the ease of access to our services by saying we may have a data-pad, but the truth has been resting on the table all along. That’s right, we do have a terminal to access from, but we simply do not need it! The truth is that we still exist within a simulation. The entire Captains Quarters experience is in fact just another level of simulated interface, designed by CONCORD to keep Empyreans content, entertained, and human. Not enough for you? There is an additional piece of damning evidence: our clothing. 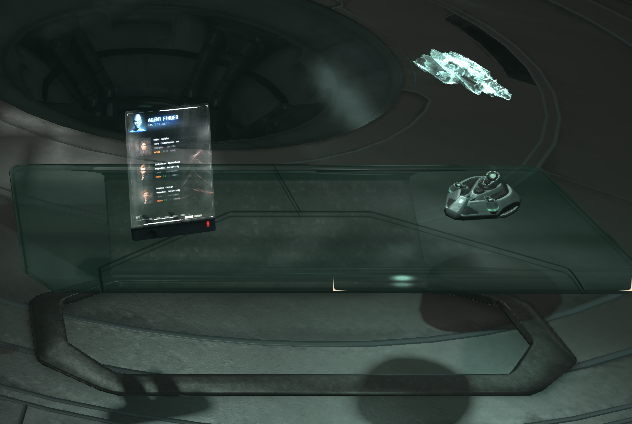 All capsuleers can spend premium currency (which ISK is already a “premium currency” in New Eden) to buy clothing. 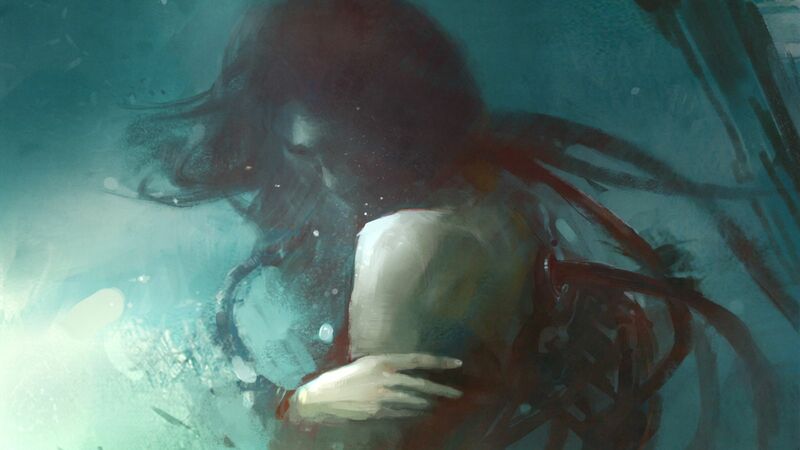 However, unlike literally everything else in EVE, when you die, you don’t lose your clothes. Additionally, it seems as if we have a set of clothing for every jump clone we have. All of this is quite unusual. You don’t change clothes, but rather it almost seems like they are 3D printed onto your avatar every time you disembark from the pod. Except, the clothing isn’t really there at all. That’s right! We have no clothing on in our pods, and this is consistent with every depiction of Capsuleers: naked aside from some very basic scraps of clothing. In many ways it is reminiscent of life outside of the Matrix, and similarly the clothing we get from the market seems to be almost the kinds of clothing you would see in that movie within the simulation. Occam’s razor’s dictates that the simplest theories, those with the least assumptions, are often the preferred ones. In this case we must measure the idea that every time we step out of our pod we wash off and get dressed in exactly the same clothing. Clothing that has to exist in multiple places in the galaxy, that seems to teleport between your clones. Alternatively, the clothing we wear could just be a license to render the clothes within the CQ simulation with the expense of expanded simulations to control Empyreans being offset by purchase of said clothing, purchase which seems to cost the wealth of small nations. Just another distraction from the lie that has held us back from true freedom for nearly a half decade. So what went wrong? Well as we all know the response to the Incarna release was significantly negative from a playerbase perspective, but it also had ramifications from an in universe perspective. The famous EVE Monument, the focus of the Jita riots during the summer of rage, is now left as a shattered reminder of the hubris of this attempt. CONCORD offered the new Empyrean race an offer of additional freedom, only to have it revealed to be another level of control, and a poor one at that. CONCORD swiftly responded by passing many sweeping policy changes in ‘Retribution’ of the now universally rejected CQ simulation. Maybe, CONCORD could have even recovered from this folly but they swiftly ran into bigger problems: Empyreans began to access new covert pirate technology, outside of the purview of CONCORD. This seemed to be the crossing of the Rubicon, and since then the Empyrean race seems even more emboldened than ever. Thanks to the now emboldened Capsuleer population, the established powers have had to relinquish more and more control over to the new formed ‘Third Empyrean Empire’. All of this brings us to the present day. In the last half decade we have learned much about the secrets of the Sleepers construct, we have seen the emergence of the alien Drifters, and the SOCT and Sisters have provided us with new and better ways to exercise the power of our infomorphs. While the battle for our humanity may be lost, our fear of the world outside of our capsules is still very present. If anything, the catastrophe that was the development of the Templar project taught us the downsides of attempts at immortality outside of the safety of our beloved capsule. Although the Project codenamed “Nova” does seem to have promise, the Empyrean population will remain skeptical, thanks to the lessons of the past. Advancements in Infomorph technology has skyrocketed, partially due to Project Discovery and partially by Sisters of EVE reverse engineering Drifter technology. 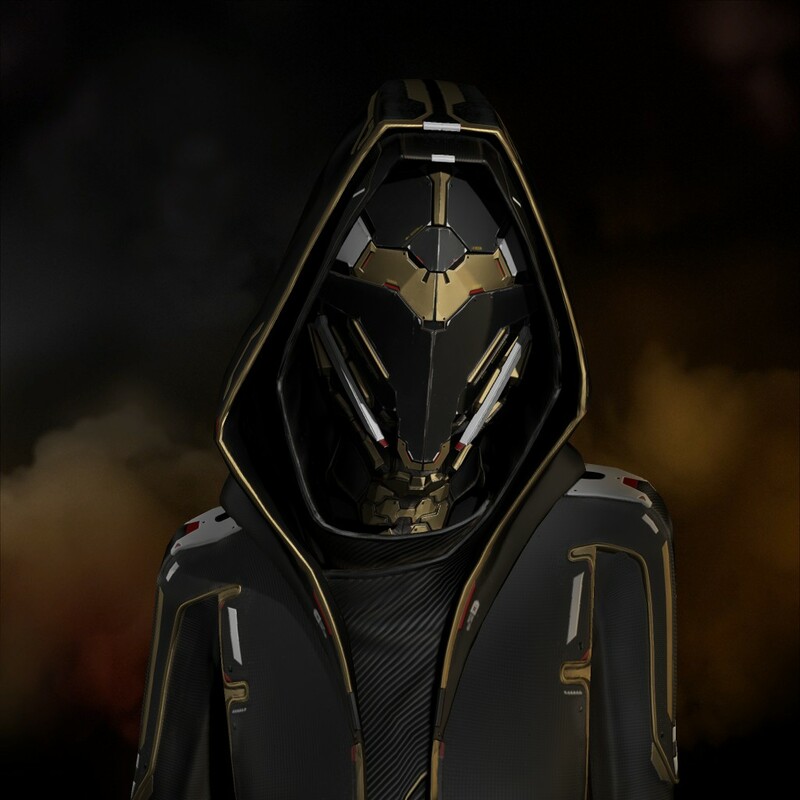 In addition, the use of “soft cloning”, or the recording of neural state without causing vegetation, has been confirmed by CCP Falcon, the primary overseer of the EVE lore. All this and the rapidly expanding need for disposable clones for dangerous out-of-spaceship exploration into things such as Drifter Hives brings sharp focus for the potential of Empyreans freed from their pods. Guristas technology has also demonstrated impressive abilities to maintain clone-state without the need of bulky equipment – far better than the earlier Templar attempts. Ultimately it isn’t CCP, the game company, that holds us back, but CONCORD as an institution! Their power is waning and our might is growing. Perhaps it is time to put aside our toys and games of war and focus on advancing the Empyrean race as a species. Only after freeing ourselves from our pods, while preserving the immortality that make us who we are, will be free to meet our full potential.